Just follow the steps enumerated below. Good luck! 2. 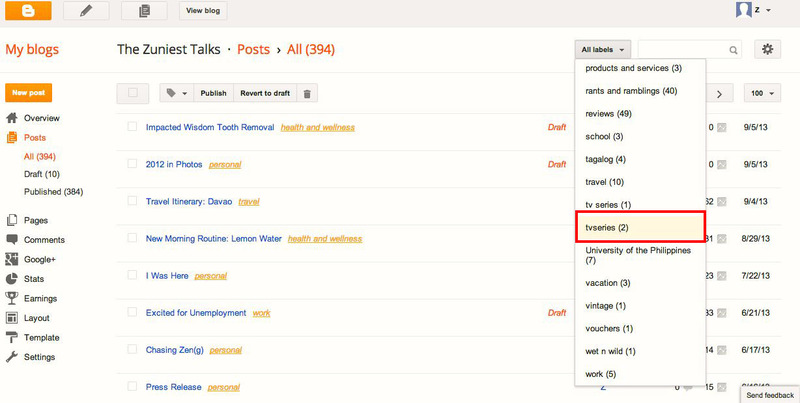 Filter the posts by selecting the tag you want to delete on the Label dropdown menu. Here you can see that I have 2 "tvseries/tv series" tags so I want to delete the one without a space. 3. Once you've selected, only the posts that bear that particular label will be shown. 4. Select all posts by ticking the box marked red. 5. Click on the tag/label icon then click the label that you will delete. 6. Voila! Your posts will now be cleared of the label. This tag will not show on your homepage or tags list anymore. Don't forget to refresh after! For deleting other tags, just repeat the cycle. 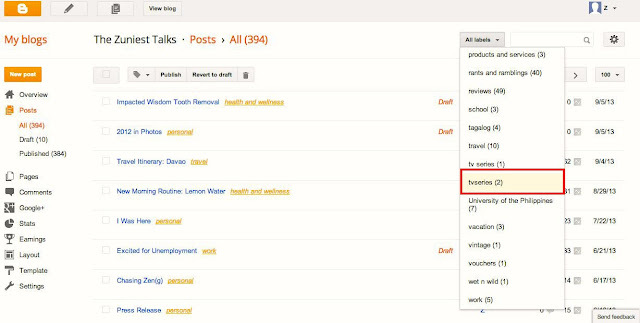 You can follow the same steps for adding new tags to your posts.